In 2003, VIVOBAREFOOT became a pioneer of the barefoot movement by launching the first minimalist shoe with a patented, ultra thin puncture resistant sole that offered maximum sensory feedback and maximum protection. This was driven by the knowledge that 70% of your brain’s information for movement comes from the nerves on the soles of your feet. The more you can feel the ground, the greater your body’s understanding of its surroundings and natural movement. In 2010 and 2012, the American Academy of Physical Medicine and Rehabilitation and Harvard University, both released studies to support that barefoot reduces injuries, reserves energy, and improves technique. As demand for barefoot health grows, so does demand for VIVOBAREFOOT and the collection features the most comprehensive line of minimalist shoes on the market. The VIVOBAREFOOT difference is in the sole. We make a series of constructions specifically designed for varying elements, terrains, and activities. From high performance off-road and trail running shoes, to work and kids shoes, VIVOBAREFOOT offers a total lifestyle solution for the whole family and options for transitioning from walking to sports. 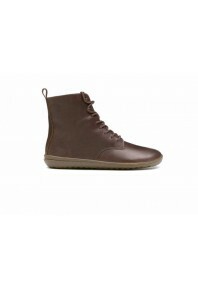 VIVOBAREFOOT footwear is produced sustainably using recycled, locally sourced materials, with efficient and eco-friendly production techniques, in independently monitored ethical factories. This cute but clever Jing Jing is a (truly) flat pump that lets the feet do their thing. It's an ele.. Enjoy luxury Wild Hide leather paired with a soft calfskin and eco-canvas lining for supple durabili.. 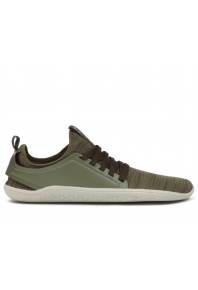 The Kanna is a stripped back vegan movement shoe with a stretchy breathable mesh sock. Designed to w.. The Ultra 3 is our amphibious shoe perfect for adventures on land and sea. The lightweight hexagon.. The Ultra 3 is our amphibious shoe perfect for adventures on land and sea. 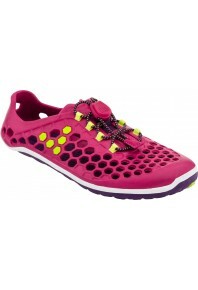 The lightweight hexagon u..
For the Ladies, New Season Barefoot Running shoes... The Primus is our lightest, leanest movement sh..
It’s over to you and your feet with the fun and fast Ultra: letting you experience and enjoy your en.. The super simple, extra stretchy party pump keeps you at your best for long days and nights on your .. The Ultra 3 is a water-resistant movement shoe for adventures on land and sea. After a year in produ..